Nylon high-quality sewn & appliquéd flags for outdoor use. Made single-reverse or double-sided. Constructed as ordered; available to ship in less than a week. 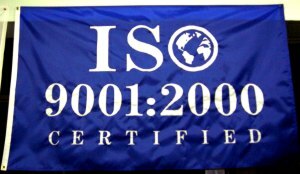 Fly these quality flags as the appropriate way to show your commitment to quality. All flags are made of 100% Dupont colorfast 200 denier nylon using the sewn and appliquéd process. 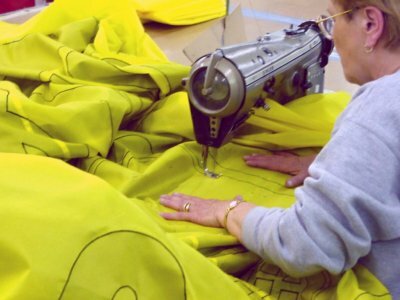 All flags are double-needle hemmed on sides and fly end and made with heading and grommets. Image won't crack or wear off. Appliqués and background are made of pre-dyed nylon material which has been treated for colorfastness. 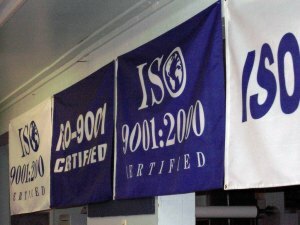 Sewn ISO Flags are divided into three groups based on price and complexity. These sewn and appliquéd flags are the finest made in workmanship and materials. Sewn single-reverse flags are composed of three layers of pre-dyed nylon material -- two appliqué layers and the flag proper layer. Sewn double-side flags are composed of four layers of pre-dyed nylon material -- two appliqué layers sewn to two separate background layers. 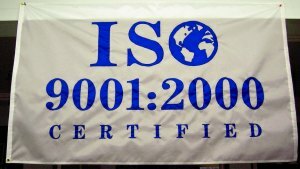 Buy ISO Flags at our aristaflagstore! 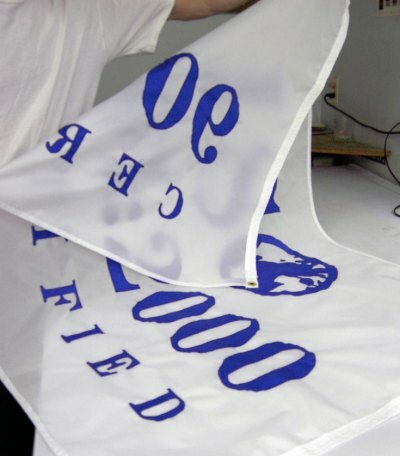 All sewn flags are made of 100% Dupont colorfast 200 denier nylon using the sewn and appliquéd process. All sewn flags are double-needle hemmed on sides and fly end and made with heading and grommets. Double indicates double side construction. Sewn flags with white backgrounds will include an inner lining to increase opacity. 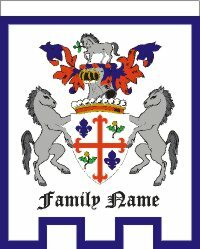 These are truly the finest quality sewn flags made at exceptional pricing. When requesting price verification on items and pricing listed below send an email with your requirement noted to quotes@aristaflag.com. Buy Sewn Nylon ISO Flags at our aristaflagstore! 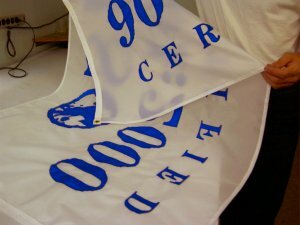 Fly these quality sewn and appliquéd flags as the appropriate way to show your commitment to quality.